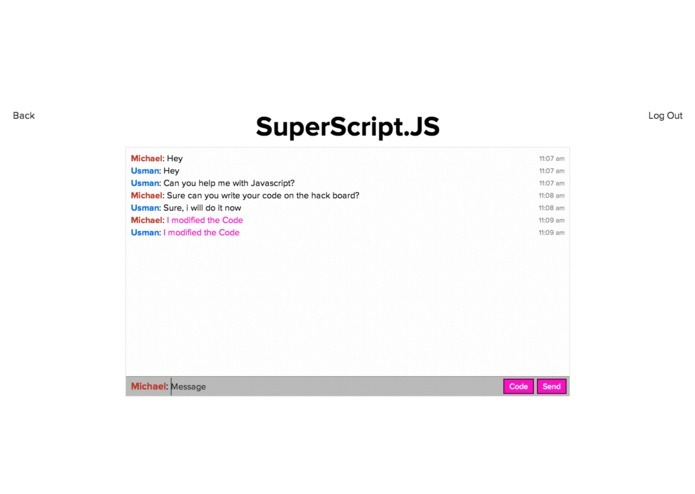 A chat system that enables users to share and edit code real-time with other users and help each other out with coding problems, questions and obstacles. The users do not need to submit a URL for their code like paste.bin like the conventional in IRC. 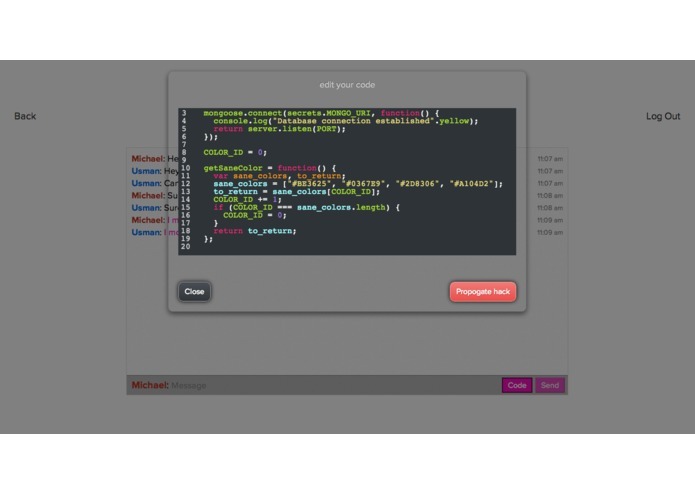 They can instantaneously add their code in our chat system, which features syntax highlighting and fellow users can help fix their code or find errors in the code. Users can directly interact with each other with explanations of their problem and also receive feedback. 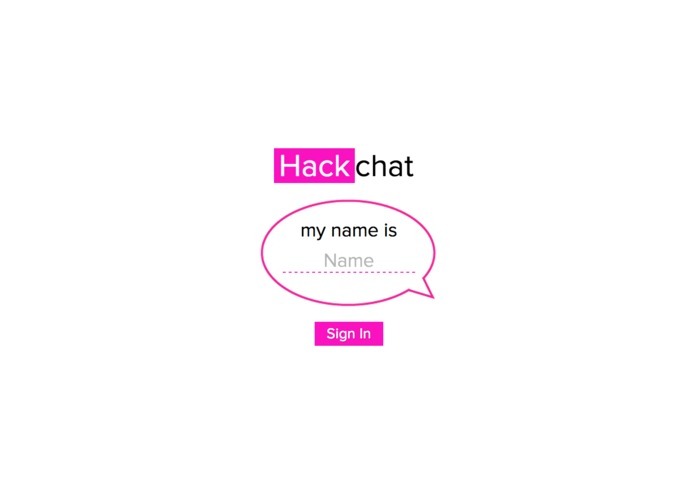 Simply share the URL of the chat room to get users into the channel.